Uterine cancer (also known as endometrial cancer) is caused by unneeded cells that continue to grow and form a mass of tissue known as a tumor. 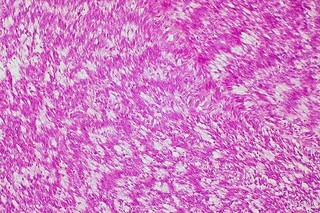 This uncontrolled cell growth in the tissue can also metastasize by transferring or spreading from one organ of the body to another closely connected to it. The uterus (womb) is the reproductive organ in the female body. The most common form of uterine cancer begins in the outer lining of the uterus known as the endometrium. Uterine cancer most often occurs after menopause. There are a few factors that can place a female at higher risk of developing endometrial cancer. These include age, higher than normal estrogen levels, obesity, race, and the drug tamoxifen to name a few. Women who are normally more than fifty are prone to this cancer especially the period after menopause. The frequency of this disease is very less in women who are younger. Hence, older women have to be extra careful in dealing coping with such a situation. Higher levels of estrogen are another very important risk factor for uterine cancer. Studies have shown that women with estrogen levels higher than normal have twelve times higher risk than women who does not have hyper secretion of estrogen. However the intake of progesterone negates the effect of estrogen and thereby lowering the risk of uterine cancer. Obesity is always a risk factor for any type of cancer and this disease is not an exception too. Women with high levels of fats and cholesterols in their blood are more prone to this disease. Race is another factor that has some sort of relation to the occurrence of uterine cancer. Survey shows that women of African-American ethnicity are more prone to this disease than women of other races. The exact reason is not known but researchers feel that it is the constituent DNA present in this race which drives the onset of uterine cancer. One form of cancer can very well lead to another and this disease is a fine example of that. Women who have breast cancer are at the greatest risk of developing uterine cancer as well. And to add more complication to this matter is the use of the drug tamoxifen. Tamoxifen is used to treat breast cancer and this drug is a major causative agent of uterine cancer. The treatment of uterine cancer can be done by surgical methods of just chemotherapy depending on the condition. If the condition is severe, then surgery (also called as hysterectomy which is done to remove the uterus) is the only option or else the patients can opt for chemotherapy treatments which involves the use of drugs like Herceptin, Erbitux etc. Newer methods like the hormone therapy and radiation therapy are also available.